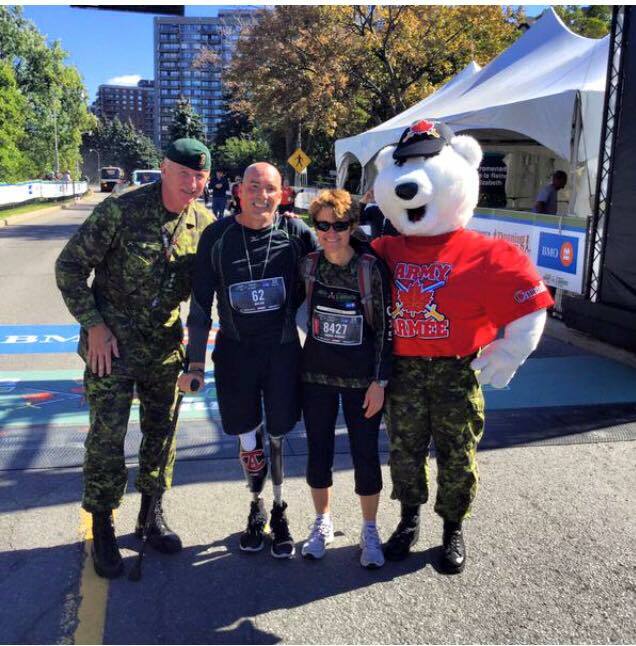 Hi gang, Marijo and I have returned from the Ottawa Army run happy and satisfied that we each achieved our goals. I’m feeling terribly guilty for all the attention this event has garnered me. So now it’s time to simply say thank you for all the support. The cheers of encouragement and well wishes that we received before and after was amazing. The highlites of the race were numerous. From the start, to the oh my gosh I really have to do this, to meeting the Governor General at the 17km mark. It was quite an honor as I was really crashing and along side of the empty highway we were on stopped a motorcade of vehicles. It was just like out of the movies when the US president is being whipped into a location. Motorcycles, security cars, limos all with their lite flashing. Out pops David Johnston and the first thing he asked me was, was I tired? I told him it was nothing that a beer wouldn’t fix. He asked me if I had served in Afghanistan and upon saying no I very briefly told him my story. 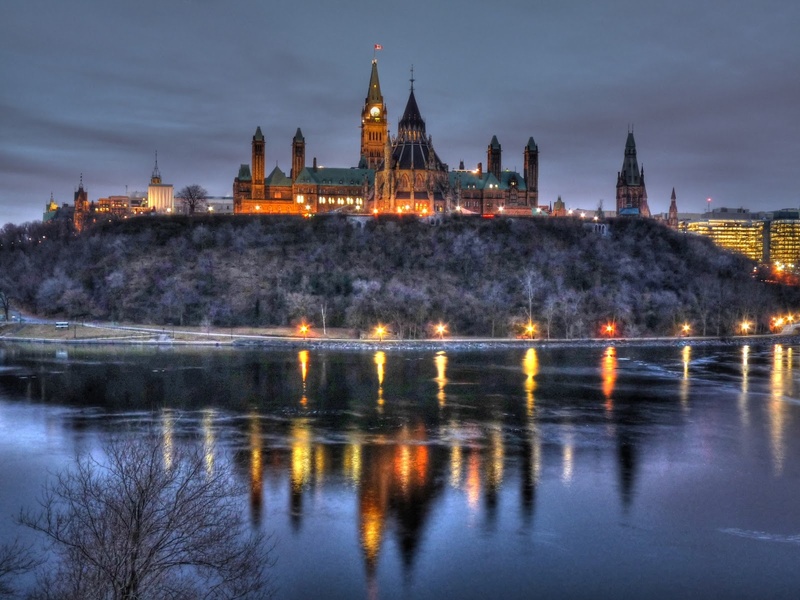 After leaving him Marie Andree (my physio therapist from Ottawa) and I continued on our way. Marie Andree was great as she continually deflected runners away from me during the race. She’s a great body guard. We met all our my family and friends at km 18 and proceeded to all walk to the finish line. Their support and encouragement got me through the last few kilometers. The Army run folks looked after me so well. Police motorcycles and cars and medical vans never left me during the last 6km. 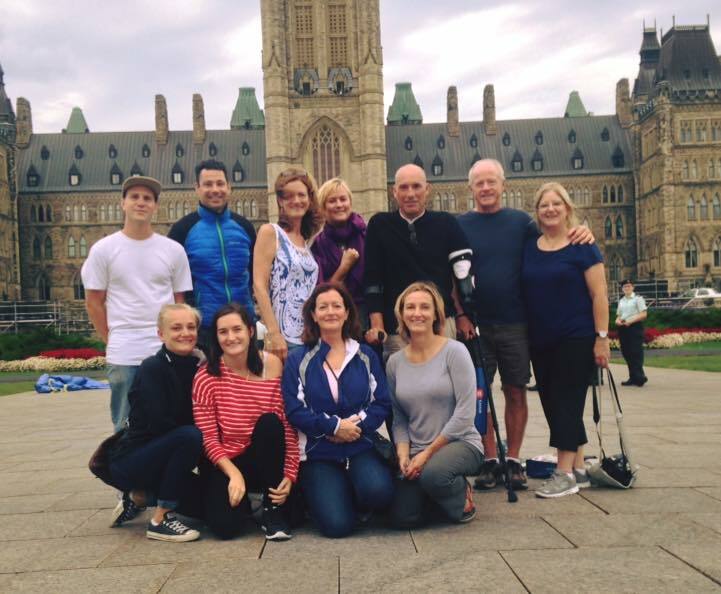 I was on the CBC news cast that nite and the announcer said Terry Fox would have been proud….that was quite touching. There were so many people in the run that all had their own stories. So much inspiration and I was so happy to have been a little part of it. My time was 5 hrs and 40 seconds. 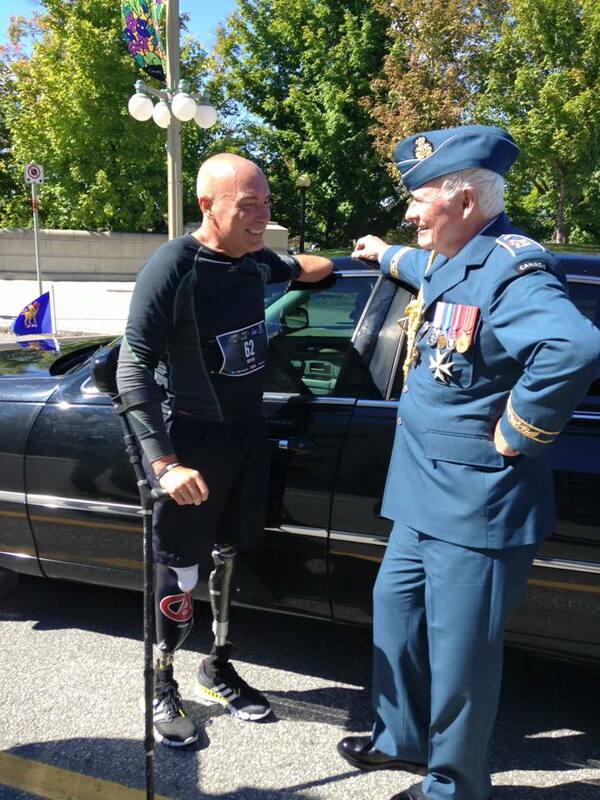 I wanted to be under 5 hours so I will blame it all on the Governor General for holding me up….just kidding! My biggest thanks to my wife Marijo who supported me and enabled me the opportunity to walk each step of the way. She had to listen to me whine for 5 months…lol. So now for a little rest and time to figure out what the next adventure might be. ← Failure is “Not” an option….is it? Next year under 5 hours!!! You and Marijo are a real inspiration!! !